To challenge the very foundations of our faith, the coming great deception WILL present some very convincing NEW but false information about our origins, our past and our future as humans. In order to deceive even the elect, it must challenge everything we think we know. Our Origins: So, if our enemy was to present an alternative theory as to where we came from, he would present to us that we are not God’s creation at all, but the creation of another being (singular) or other beings (plural). In any case, the disinformation presented regarding our creation would be designed to muddy the water to such an extent that we can no longer see anything clearly anymore, so that we are easily led astray. If a supernatural being (or multiple beings) showed up claiming to be our creator/s, what does one do with this new information? Most are likely to just believe it and not question. And even more so if their appearance is accompanied by incredible signs and wonders. Imagine if an all- powerful angelic or extraterrestrial being just appeared in the sky one day and announced that it was the creator of the Earth. How would you fare? Would you stand your ground? Would you be awe struck? Would you kneel before it and change your allegiance? These are things you really need to think out prior to this event. Our Past: If our enemy were to present an alternative theory about our past, he would most likely present to us a convoluted story that mingles truth with fiction in a convincing way that only he can. He’s the father of lies. It’s his specialty, and he’s very good at it. A shred of truth mixed with a lot of fabrication leads the masses astray very easily. When our past is challenged, do we stand firm and hold to the Biblical truth? Would we trust our history books? Or would we just follow these new beings that have showed up on Earth seeming to know more? What if they claimed to have been here the entire time and watched the whole history of the earth unfold? Who do you believe then? Whatever alternative past is presented, we need to have already decided to stand firm on the Word of God and not get caught up in the swirling vortex of deceit and deception before us. Our Future: And if our enemy was to present a different future to us, he would present that salvation is through him alone and not Jesus. He would say we were wrong. He would say that Jesus was not the Son of God. He would present to us a future where we are all reliant on him for the future of humanity. If our enemy shows up with a plan to end all our wars, famines, and diseases, it will seem like something we can’t refuse. And what if he comes with new technology like zero point energy, superior flying craft, advanced medicine, or wondrous signs? What if he tells us he can give us eternal life and we won’t die? Again, we need to know in whom we put our trust and what we stand for, so that we don’t fall for everything. So is this all just crazy talk? Or are our eyes wide shut to the coming deception? The truth is sometimes stranger than fiction. Just what should we be expecting to see? What will the deception look like? A God? An Angel? An Alien? A Hybrid? A Super Human? For those of us that haven’t seen any of these things, we won’t know what we are looking at, just that it is very different to everything we know. What if our enemy shows up as an angel of light? It will be challenging. Where do you stand when everything you know is challenged? When you don’t know what you know anymore? You need to know who and what you will cling to during this storm. Jesus is the way. Be on your guard. Do not be deceived. Just saying this, but YOU are the “second coming”, the change, not some man in the sky. Challenge your beliefs. Blessings! There are no evil ETs period. The evil on our planet is 3rd dimensional down to animalistic and subplanetary…Spirit Arisen and off this planet Beings are beyond anything even remotely evil. Just how I See it if course. don’t agree either on that. For Humans ‘aliens’ are all one. But in close look, there is a big outlined difference. Aliens for us are our extended Space Family and friends of other Planets and Dimensions, etc. Friendly beings/species, an extension of ourselves, another shape from humans. JUST LIKE MAMMALS. Now, as far as I know the greys, reptiles, etc. and demons are another thing’. Not aliens as such. Just demons (of satan). 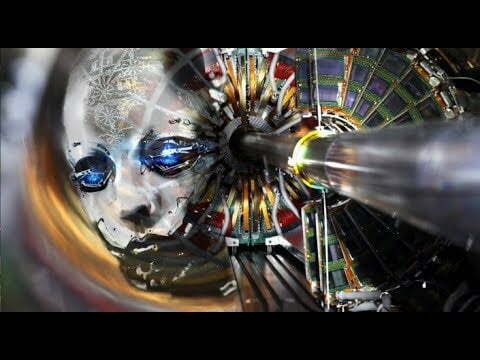 CERN has suffered a SHUT DOWN, for at least 6 months, engineers/scientists vaporized at once! GOD had a go with them;-)) ‘I AM the Only One God’. ‘Don’t you play Gods destroying my Creation, Earth and Humans, or you’ll see The Light’. Well, it is a secret to everyone now..also remember to forget :). Thank’s for the info exalted one’s. For the first 22 minutes, I really thought that this sky pilot was on to something way beyond the altitude that normal sky pilots are capable of. Then he blew it big time in typical sky pilot style. He said that there were no aliens. There were only demons. God’s other children from other planets of His creation were not real. His voice reminds me of Billy Graham. Is that who this bloke is? I think this is old. I learned the light forces break CERN every time it starts up. I also learned a couple years ago the Steven Hawkings went from being an atheist to believing in God. Geeee!…Didn’t Cobra tell US that CERN was SHUT down some time ago??? I found out ALL about “Switzerland” and it’s origins…MONTHS ago! There are no aliens? All aliens are demons? There is nothing “out there”? How would something like this even end up on this website? I don’t usually leave comments, but in my opinion this video should be removed. Deja Vu … Scientists of Atlantis …. So easily fooled …. whispers of arrogance….